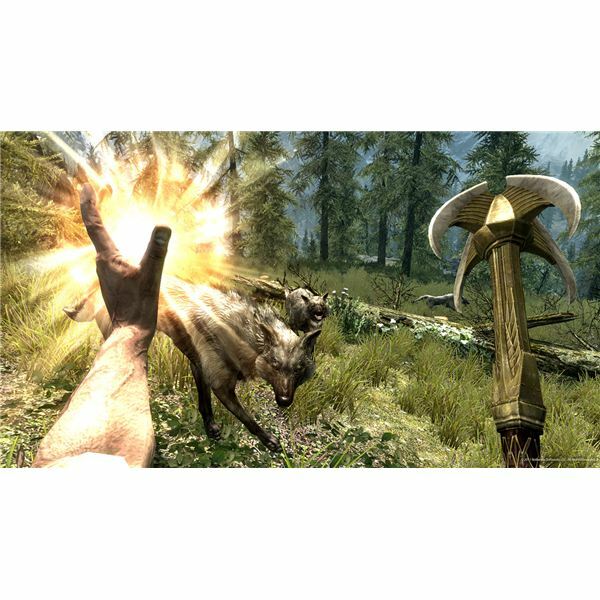 In the Elder Scrolls: Skyrim, players for the first time equip spells as if they were weapons. In previous games, spells were considered special attacks that could be equipped on their own, separate slot and cast independent of the weapon being used. That's no longer possible. To cast a spell, it must be equipped in one of your hands. You can equip two different spells at once, one in each hand, or you can equip the same spell twice. This has no bonus by default, but all the spellcasting skills offer a low-level perk (20 skill required) that lets you "overcharge" a spell if you equip it in both hands. There's actually no statement made about how much more effective a spell is when overcharged, but in my experience it does have a noticeable impact, particularly on damage spells. As you might have guessed, casting a spell requires a resource, in this case magicka. This resource replenishes at a slow rate over time when it is not in use, or it can be restored by resting, waiting, using magicka restoration potions or casting a health-to-magicka conversion spell. There are also some races that have magicka related skills. Bretons have a power that can be activated to absorb magicka from spells cast at them, while High Elves have a natural +50 bonus to their maximum magicka pool. Alteration: This rather broad school of magic consists of skills that, well, alter stuff. There are a number of shield spell effects available in this line, as well as spells that let you walk on water or pick up items from a distance. Alteration is rarely considered a caster's primary school of spellcasting, because there's nothing offensive about it, but many casters rely on shield spells from the alteration school to protect them from the blades of bandits and the fiery breath of dragons. Those interested in using Alteration spells should note that there is a three-tier perk called Mage Armor that increases the effectiveness of defensive spells in the Alteration school if the player character is not wearing armor. Conjuration: Governs the use of spells that conjure creatures or items. A conjurer can raise zombies to fight for them, or can summon bound weapons for defense. 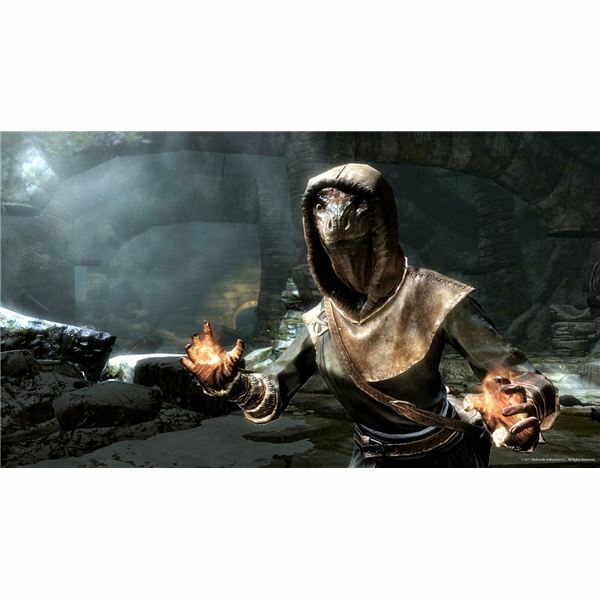 If you like the idea of a "pet class" the conjurer is just about your only route to take in Skyrim, as they're the only characters that can constantly bind creatures to their bidding. In my opinion, this is a good school of magic for an offensive spellcaster, as the bound creatures can take pressure off of your character while also dealing damage to opponents. Destruction: This is your straight-up, fireball-castin', lightening-rod shootin' school of magic. It's the one school of magic that virtually every mage character in Skyrim takes. If you want to challenge yourself, try building a mage who never, ever uses Destruction magic. Destruction is largely based on elemental damage, and there are perks in the skill tree that offer enhancements to certain elements. This has pros and cons. Against some enemies you will be very strong, because they may be weak to an element you prefer. But on the other hand, you may find an opponent who is resistant, and therefore much tougher. Don't forget to switch up your offensive spells if you encounter an opponent who seems to be resistant to a particular element. 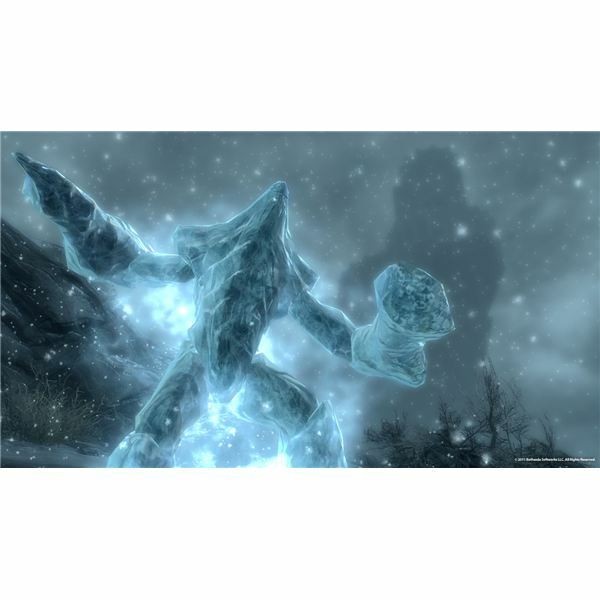 Illusion: Consider this the crowd-control school of Skyrim. This is where you will find spells that fear, charm, or command targets, forcing them to disengage or turn to your side. These spells are extremely useful in many dungeons, where you often fight more than one enemy and can turn them against each other. But they're not that useful in boss fights, where they can only buy you some time. make Illusion the favorite of mage-thieves. At skill level 50, it's possible to grab a perk that makes all of your spell silent, which is again of great use to mage-thieves. Restoration: This is the school that controls healing spells and can also be used to cure certain conditions, like diseases. It can also be used to Turn Undead. The usefulness of this school will depend on your playstyle. Because this is a single-player game where you can control one character, there's never a huge need to keep others healthy. However, this school can be useful for keeping you alive if you choose to play a sort of battlemage – a mage who gets up close and personal with AOE spells, for example. Although some mages choose robes, others choose heavy armor, fireballs and health spells to get them through combat. In theory, you can spend some time dabbling in all five schools of magic. There's nothing to stop you. However, even if you never put a perk into any skill tree not related to a magical school, you still won't have enough to flesh out all of them. As a result, you will probably want to limit yourself to two or three, so you can fully flesh out a few schools of magic and also pick up other skills. Here are some recommendations. Destruction – Illusion: Your basic mage-thief, using nasty spells to kill enemies while sneaking about to steal anything that's not nailed down. Illusion's selection of crowd-control spells help keep your mage alive in spite of a lack of armor-class bonuses. Consider investing some points into Alteration for defense, or using Light Armor. Destruction – Conjuration – Alteration: If you want to be an all-out spell-casting wizard that no one will speak bad of (for fear of being smited) this is a good combination of skills to take. Your Destruction spells and conjured minions will easily take out opponents, while Alteration shields will defend you if anything comes close. This can be a very magicka-intense choice, however, so buy potions with glee, or better yet, try the Alchemy crafting skill. Conjuration – Alteration: This sacrifices the direct offensive power of Destruction, but keeps the minions and defensive spells, resulting in a more defensive wizard. Since you didn't pick up Destruction, you will have perks to spend elsewhere, such as a weapon skill. This is not a bad way to build a spellsword. Destruction – Illusion – Restoration: Consider this an alternative spellsword, one who does not use a weapon but may indeed use armor, perhaps heavy armor. Destruction will provide your offensive power, Restoration will keep you alive in the most deadly situations, and Illusion will allow you to better control battles. If you'd like, you could potentially drop Illusion in favor of a weapon skill, or even a shield.